Cardiac lead perforation is a rare but potentially life-threatening event. The purpose of this study was to investigate the diagnostic performances of chest radiography, transthoracic echocardiography (TTE) and electrocardiography (ECG)-gated contrast-enhanced cardiac CT in the assessment of cardiac lead perforation. This retrospective study was approved by the ethics review board of Sun Yat-Sen Memorial Hospital at Sun Yat-Sen University (Guangzhou, China), and the need to obtain informed consent was waived. Between May 2010 and Oct 2017, 52 patients were clinically suspected to have a cardiac lead perforation and received chest radiography, TTE and ECG-gated contrast-enhanced cardiac CT. Among them, 13 patients were identified as having cardiac lead perforation. The diagnostic performances of these three modalities were evaluated by receiver-operating characteristic (ROC) curves using a composite reference standard of surgical and electrophysiological results and clinical follow-up. The areas under ROCs (AUROCs) were compared with the McNemar test. The accuracies of chest radiography, TTE and ECG-gated contrast-enhanced cardiac CT imaging for the diagnosis of cardiac lead perforation were 73.1%, 82.7% and 98.1%, respectively. ECG-gated contrast-enhanced cardiac CT had a higher AUROC than chest radiography (p < 0.001) and TTE (p < 0.001). ECG-gated contrast-enhanced cardiac CT is superior to both chest radiography and TTE imaging for the assessment of cardiac lead perforation. • ECG-gated contrast-enhanced cardiac CT has an accuracy of 98.1% in the diagnosis of cardiac lead perforation. 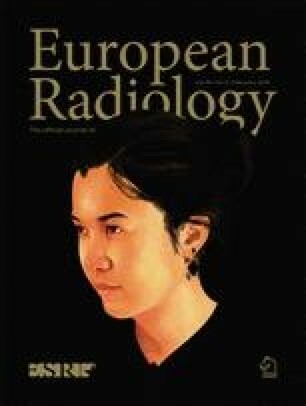 • The AUROC of ECG-gated contrast-enhanced cardiac CT is higher than those of chest radiography and TTE imaging. • ECG-gated contrast-enhanced cardiac CT imaging has better diagnostic performance than both chest radiography and TTE imaging for the assessment of cardiac lead perforation. Xiang Zhang and Chushan Zheng contributed equally to this work. This study has received funding by Guangdong Province Universities and Colleges Pearl River Scholar Funded Scheme (2017) and the Elite Young Scholars Program of Sun Yat-Sen Memorial Hospital (grant no. J201403). The scientific guarantor of this publication is Jun Shen. Institutional Review Board approval was obtained from the Institutional Review Board of Sun Yat-Sen Memorial Hospital of Sun Yat-Sen University (Guangzhou, China).